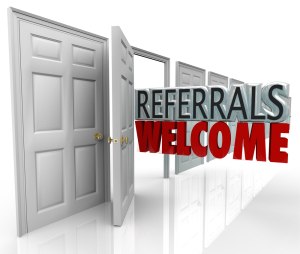 The Filipino Law Group appreciates referrals from friends, family and other attorneys. A good majority of our new clients came by referrals and we are always thankful for the opportunity to serve them in their time of need. Everyone knows that the best form of advertising and promotion is word of mouth and we cannot be grateful enough when someone recommends the Filipino Law Group. Attorney referrals and referrals by professionals in the industry will continue to experience our high work ethics and when requested and with permission of the client, can be part of our communication process to keep everyone in the loop . We understand that when you refer clients to us your reputation and your name are on the line and we will do our utmost best to uphold it. Attorneys may also come across legal matters that somehow or someway involve the Philippines or vice versa where a Philippine attorney needs U.S. legal assistance. Whether it be personal, property or business issues we are the company to consult with. Our experience with Philippine law combined with the culture aspect of it makes us a reliable source for legal consultation as well as legal representation in the Philippines. Contact our offices for further information regarding referral fees, business opportunities, or special projects. Send email to info@filipinolawgroup.com or call +1 (855) MABUHAY | LA Headquarters – 213.380.3939 / 213.380.1611 Fax.